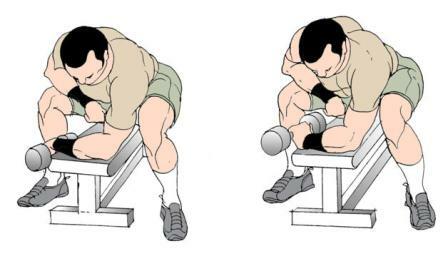 Dumbbell One Arm Curls is an excellent exercise to build forearm muscles and isolate them. You can do this exercise with wrist reversed too as shown to work both the flexors and extensors. Check the correct exercise technique and build massive forearms now. 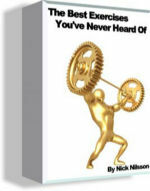 Purpose - To Build muscle mass in the forearms. This exercise is done seated using a dumbbell. 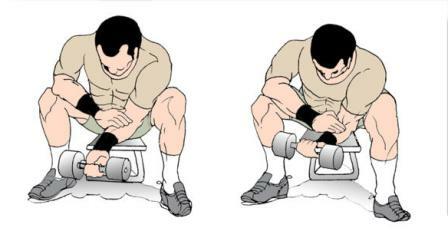 Grab a dumbbell and sit on a bench. Place your forearm on the edge of a bench or on your thigh and let the wrist with the dumbbell hang. Curl your wrist as high as you can. Now let the dumbbell roll down out of your palms feeling a full forearm extension. In this variation you place the wrist in reverse position called pronation and perform the wrist curls for the extensors of the forearms. Get full contraction and extension for full benefit.